LatinaLista — Any woman who has shopped for clothes knows that it can be like a treasure hunt to find the right dress size. A size 8 in one label could be a size 12 in another, a big enough difference that’s bound to depress any woman who prides herself wearing smaller sizes. 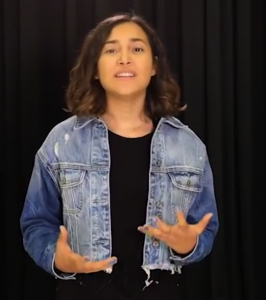 Yet, it’s been known for the last ten years that the apparel industry’s approach of one-size-fits-all just doesn’t work, especially for women. So, in the interim, a few companies have arisen, combining tech with traditional fashion to create a more customized approach to mass production of women’s apparel, such as FitLogic and Intellifit. But a duo in Spain is tackling apparel customization with a whole new approach by throwing out the traditional standard of using measurements. U.S. native Elizabeth E. Fraguada is by trade a fashion and costume designer, and by choice a textile technician. In 2010, Elizabeth founded the Barcelona-based design studio Jorge & Esther where she and her husband, and main collaborator, Luis Fraguada strive to merge the two worlds of tech and fashion in innovative ways to dress the 21st Century woman. As every fashion designer knows clients aren’t successfully dressed if they are not wearing clothes that fit them perfectly. For Elizabeth, the “textile technician”, that means embracing the digital age. The process involves scanning the person’s body — something like airport scanners that produce digital images of passengers’ bodies — then ‘digitally draping’ virtual material over the computerized body image. Next comes digital patterning, the virtual construction of the garment and finally printing out the pattern, cutting and stitching it together. To their credit, Elizabeth and Luis feel that their way of customizing apparel can reach a much broader audience if the apparel industry did away with generic sizes and took into account different body types. The husband-wife team have begun to build the Body Database Project (BDB) which consists, so far, of over 150 different body types scanned in the database to help refine tailoring strategies that deal with different body types. While the two are building their database and are only now in the test phase of servicing clients with digital tailoring, another part of their business is taking off — a wearable tech collection that is capturing the attention of geeks and fashionistas. The Lüme Collection is a small series of pieces with LED lights embedded in the materials. 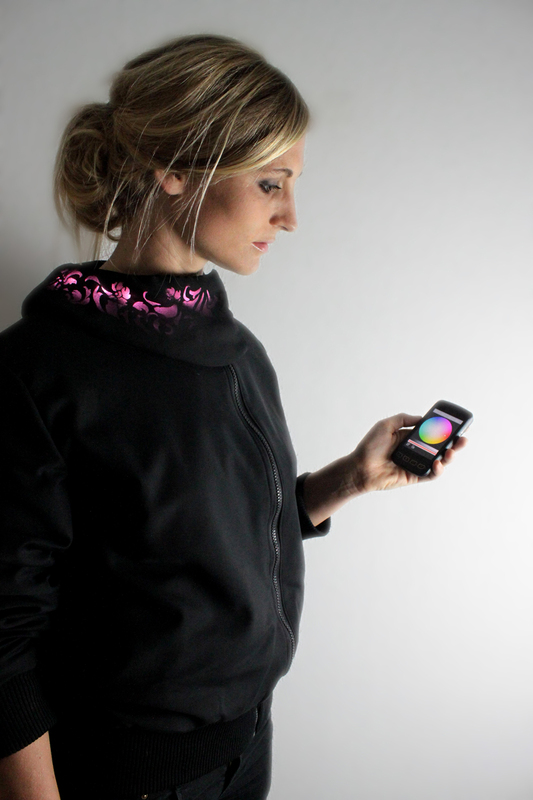 Via an app, accessed by a smartphone, wearers can change the color of the LED lights in the clothes to create a new piece each time they wear it. Since launching this year, the Lüme Collection has garnered attention and recently won the Jury Prize in the Aesthetic Category at the 17th International Symposium on Wearable Computers. In addition to their budding clothing line, Elizabeth also designs furnishings and has a small line available on the Etsy website. Next PostVideo: 10-year-old inspires everyone to be a "Super Business Girl"
Video: 10-year-old inspires everyone to be a "Super Business Girl"